There are many options for travel to the South West Canoe Show. Whilst most people will drive we would like to encourage car sharing and using the Park and Ride service in Exeter. 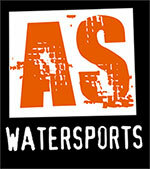 Car parking is located about 100 metres down the road past AS Watersports. Take the first turning on the right into the City Industrial Estate on Michael Browning Way. If all spaces are taken in the first car park there is over flow parking beyond the warehouse units. All the car parks will be well signposted. Some parking can be found in the Range/Matalan car park. This costs about £3.00 for 3 hours. Additional parking can be found in the Cathedral and Quay carpark across the river. This is easy walking distance to the show. There are height restrictions in place at this car park. Stagecoach South West run great Park and Ride services in Exeter. The closest of these runs from the Matford industrial estate to outside the Range homeware store across the road from the show. All the details can be found in the link below. There are excellent rail links into Exeter and the South West Canoe Show. St Thomas and St Davids are the nearest stations and St thomas is just 5 mins walk away from the show. This station is on the main line for Plymouth from Bristol, London or Penzance and is just one stop south of Exeter St Davids (the main station). Exit the Station and walk through the retail park (Boots, TK Maxx etc.) towards the leisure centre. (big glass fronted building). At the traffic lights cross the main road towards Maplins electronic shop. Pass the Harvester pub and keep left into Haven Road. The South West Canoe Show is about 300 metres from the kids play park. On leaving the station follow the brown and blue signs for the Quay. It is about a 30min walk along the main road (pavement) and then the river walk. (unless you stop at Mill on the Exe pub for a quick refresher). Either side of the river will get you to the SWCS site. On the river left you will need to cross over at the blue foot bridge (big blue suspension bridge). If you have any queries about travel, directions and parking then call the show organisers.